Narcotics Control Bureau Ahmedabad, India on Monday, arrested a 25-year-old Nigerian woman for possession of drugs. The lady named Ehimen Ruth was travelling in train Number 12450 (NDLS -Madgoan) Goa Sampark Kranti. When the train arrived Vadodara railway station, a team from NCB, acting on tip-off intercepeted the accused. A 30-year-old Nigerian man, Onoseta Oribhabor, has killed himself after murdering his 27-year-old girlfriend, Essozinam “Martine” Assali, in Toronto, Canada. According to reports, the police were called to a condo building in the north end of the city where they found Oribhabor dead on a balcony.After a further search, they found a woman inside a unit with obvious signs of trauma. She was treated for injuries but ultimately died. Oribhabor graduated from Babcock University, Ogun State, before leaving for Canada as reported online. A young Nigerian lady who was trafficked into Europe through the Libyan desert and Mediterranean sea has been captured in a viral video begging her madam for her freedom. In the video filmed in a room, the lady who gave her name as Jennifer, claimed she was billed to pay €35,000 to her madam whom she identified as Queen Godwin. She said she had already paid €30,000 out of the agreed payment but refused to pay the remaining balance. A former Executive Secretary of Ejigbo Local Council Development Area (LCDA) and Past President of Rotary Club of Ewu Tuntun, District 9110, Barr. Tajudeen Jaiye Alabi, yesterday, collapsed and died at an eatery in Mushin, Lagos State. Suspected to have experienced heart attack, he was confirmed dead at the Isolo General Hospital, where he was rushed to. He has since been buried according to Islamic rites. 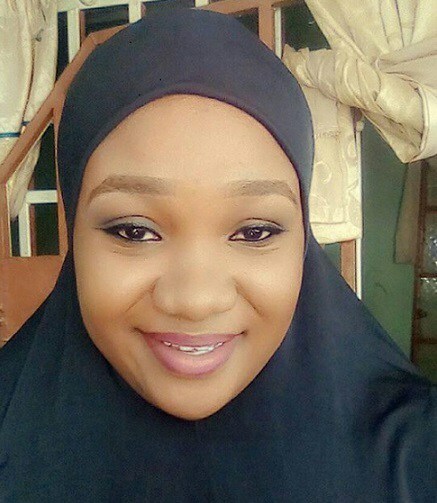 Popular Nollywood actress, Tonto Dikeh is indeed naturally beautiful after sharing no make-up photos. The photos showed what she looked like before and after make-up. Recall that the actress enhanced her body through cosmetic surgery to look better. Top Nigerian model, Chika Lann, in a recent interview with PULSE, revealed that her signature hairstyle is worth 40million naira. Thirty-three-year-old Megan Goosen, who was six months pregnant, and another man have been shot dead in suspected gang violence. Her family has already been in mourning after her brother’s funeral on Saturday. The brother, Houston Goosen, was gunned down in Rembrandt Street,South Africa, last week.It is believed Megan was trying to flee after rival gangs started shooting in the area just after 9 pm on Sunday. In a video which has gone viral on social media, a teacher was filmed while severely beating up a Nursery school pupil. The school was identified as Marto Nursery School Uganda.The Nursery school student in the video was being severely beaten by a male adult while a female teacher as well as other children stood and looked on. Love they say is beautiful. A young couple have decided to tie the knot after a dating period as the man pop the question at the airport. A yet to be identified Nigerian man surprised his girlfriend with a proposal at the airport. Oluwaseun Ezekiel, a fresh graduate of the University of Lagos became the latest victim of Nigeria's terminally ill health system. Late Ezekiel passed away on the 17th of march 2018, at the University College Hospital, Ibadan, where she had been rushed to after being diagnosed with Cardiac failure. According to Enoch Godson, she died due to alleged negligence of staff of the hospital. A promising final year student of University of Maiduguri has been left in a shocking state after she was bathed with acid. On Sunday, BNN housemate, Tobi received two strikes for ignoring Biggie’s call and for trying to cause a conspiracy in the house when he told Anto and Lolu to vote out his drama queen housemate, Cee-C.
Another school shooting has just been reported at a high school in Maryland, US. Great Mills High School in Maryland, where the shooting took place, is on "lockdown". The county sheriff said deputies are on the scene, and that parents or guardians should stay away from the school. Parents are to go instead to Leonardtown High School to reunite with Great Mills students there. A dismissed sergeant of the Nigeria Police Force attached to Jigawa state police command, Sani Danjuma, has been arrested for leading a robbery squad to attack a guest house in Kano metropolis belonging to the deputy governor of Jigawa state, Barr Ibrahim Hassan Hadejia. Super Eagles forward and CSKA Moscow star, Ahmed Musa has bought himself a brand new Mercedes Benz G Wagon (G63) AMG. Kannywood actor, Ali Nuhu took to Instagram to congratulate the Nigerian footballer on his new whip. A Nigerian doctor identified as @OrjiOkeOsisi on Twitter, has narrated his encounter with an abusive boyfriend who brought his girlfriend he battered for cheating, to the clinic he works in. According to the Twitter user, the assaulted cheating girlfriend was brought to the hospital with a bleeding nose and mouth, and a dislocated shoulder. A young father of one identified as Ayodabo Segun aka was killed by unknown gunmen at Ketu Ile-Ile, Lagos on March 10. Details surrounding his untimely death was not disclosed. However, friends and family members, had taken to Facebook since then to pay tribute to him and rain curses on his killers. A Corps member escaped electrocution a week after surviving motor accident at Njaba river, along Onisha Expressway. According to the survivor, Nwalozie Wisdom, the bus spinned around twice and landed inside a drainage. Big brother naija housemates, Tobi and Cee-C had a romantic time together this afternoon after they were both instructed to hit the dance floor together. The former strategic partners who have been having a on and off relationship since the start of this third season of BBNaija reality game show, came first and second respectively in a general task they were given. A popular actress has taken to social media to show off photos of her cute and adorable son. ESABOD LOOK SO STUNNING IN CHIEF MRS YEYE ASA OF NIGERIA CORONATION PARTY IN LONDON. Last night after their Malaria presentation housemates Cee C and Nina got into a heated argument that tore the house in two with some housemates siding with Nina and the others with Cee C.Last night turned into a furnace within minutes after completing the Lumapil Task. It was all smiles and jeers and laughs one minute and the next it was utter craziness. Cee-C had been provoking Nina all day but things finally came to a head in the kitchen when Cee-C blew up, she insulted Nina and Nina retaliated, at one point there were even threats of physical harm and the whole House had to spring to action to calm the two ladies down and prevent any serious damage. A beautiful Nigerian Lady is set to wed her hearthrob of four years. She’s hailed the National Youth Service Corps (NYSC). Nigeria’s longest serving principal, Rev. Fr. Jeremiah Dermot O’Connell, has passed away in his country home, Republic of Ireland, where he had returned to, after his long sojourn in Nigeria. A mother-of-two died after taking her dying husband’s morphine, an inquest has heard. Krista Schofield, 41, is believed to have self-medicated with the drug to cope with pain after falling off a treadmill days earlier.According to online reports, Her body was found by husband Matthew last October who was taking the drug to cope with his bile duct cancer,Metro news reports. A 64-year-old grandfather, Daniel Idemudia, has been arrested in Benin, by the Edo State Command of the National Drug Law Enforcement Agency (NDLEA), in connection with the discovery of substance suspected to be cannabis sativa in a warehouse.The State Command of the NDLEA, has launched an onslaught against drug cartels in the state, leading to the discovery of two secret warehouses for weeds suspected to be cannabis sativa. A lady who decided to snoop around her boyfriend’s house is in trouble after she broke things in his house including his 55” TV, the lady found pictures of her man abroad with his sister (a widow) and her children, and assumed he had another family in abroad and he was cheating on her only for her to later find out she assumed wrongly.The lady has been begging for forgiveness but her boyfriend insists she must replace the TV she broke. A Lady has taken to Twitter to share her last messages with a friend who just committed suicide. According to her, she had earlier conversations with him where he told her he was in a bad place and needed to talk to someone. She offered to come see him but unfortunately got there a little too late. A young man was left heartbroken and shocked after he allegedly caught his girlfriend with another guy in a hotel room he paid for in Sapele area of Delta state. Presidential Committee on Northeast Initiative (PCNI) has begun a 5-day training programme for 1,100 teachers in the northeast to control trauma and enhance teaching. The training, which began on Monday, was to address psychological trauma experienced by teachers affected by the Boko Haram insurgency in the region. Nollywood actress, Lola Margaret, who is now an ex-convict because of her incident with the US Police over alleged fraud case she was involved in has been deported. BBNaija reality tv star, Ifu Ennada has revealed that she got infected with an STI after she got raped by an entertainer whose name she didn’t disclose. An outbreak of a strange disease at Government Science Secondary School, Kurfi has reportedly killed about 8 students. According to a Daily Trust reporter, the authorities of the boarding school closed down the school over the weekend and sent students back home. Maryam Sanda, who allegedly killed her husband, Billyaminu Bello, yesterday asked an Abuja High Court, where she is being prosecuted by the police, to dismiss the charge filed against her. Senator Dino Melaye just might have some serious scandal to deal with after some notorious criminals arrested with dangerous weapons confessed that they are working for him. Mark Zuckeberg, CEO of Facebook’s net worth has plunged at about $5 billion after his company shares slumped. This is as a result of the Cambridge Analytica scandal in which data of 50 million users was reportedly misused. The Nigerian Medical Association (NMA) in Kogi chapter, has suspended its 72-day old strike to enable further negotiations with the state government. Nigerian singer, Oladapo Daniel Oyebanjo popularly known by his stage name D'banj has just shared an adorable rare photo of himself and his son on social media. Father fighting the pain after his Babymother & her boyfriend killed his 4year old daughter. This crazy! The system let this man down. Rest up Princess Aniya I couldn’t imagine this fathers pain..
Last Friday, Africa’s richest man, Aliko Dangote gave out his daughter, Fatima in marriage to Jamil, the son of former Inspector-General of Police, Mohammed Abubakar, in Kano. The lavish wedding ceremony was held on Saturday, March 17, at the International Conference Centre in Abuja. Housemate, Miracle wins the new head of house title, after his romantic partner, Nina’s reign last week.. Miracle beat Cee-C, Nina, Teddy A, Lolu, Rico, BamBam, Alex and Tobi in a game they all played today. Nigerian popstar, Wizkid, in an interview, revealed that his parents found out about his 3rd son with his manager, Jada Pollock on social media. Vice President Yemi Osinbajo on Monday continued his onslaught against former president Goodluck Jonathan by revealing how he shared N150b just two weeks to the 2015 elections. Osinbajo who disclosed this at the old banquet hall of the presidential villa, Abuja during the 7th presidential quarterly business forum for private sector stakeholders, described the sharing of the nation’s money as incredible, stressing that it can only happen in Nigeria.